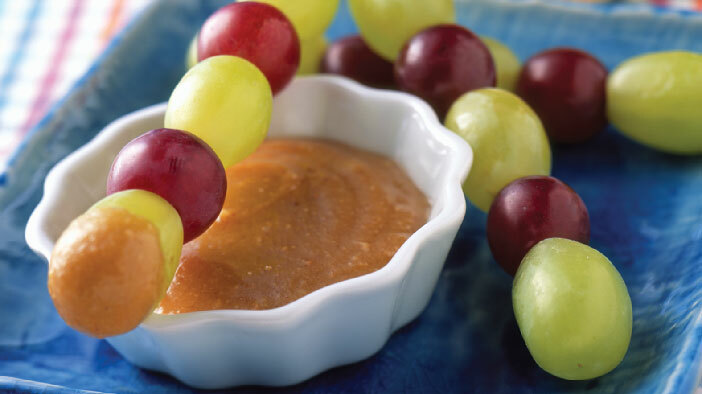 Wait til the family takes a ‘dip’ into this grapetastic recipe! This recipe uses dukkah, an Egyptian spice blend with a variety of culinary uses. 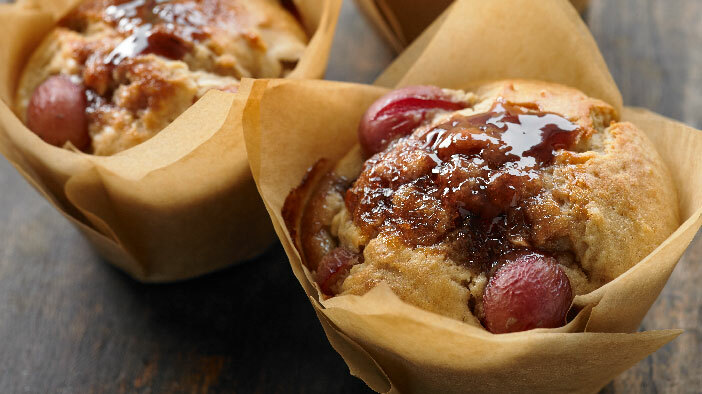 Perfect for breakfast or a snack, these moist muffins use fresh grapes as a wonderful complement to peanut butter. Preheat oven to 350 F. Line muffin tin with 12 paper muffin cups. Sift together the flour, salt and baking powder. In another bowl, add the sugar, melted butter, peanut butter and eggs and mix until well combined. Stir in the dry ingredients and the milk until evenly moistened. Do not overmix. The batter will be slightly lumpy. 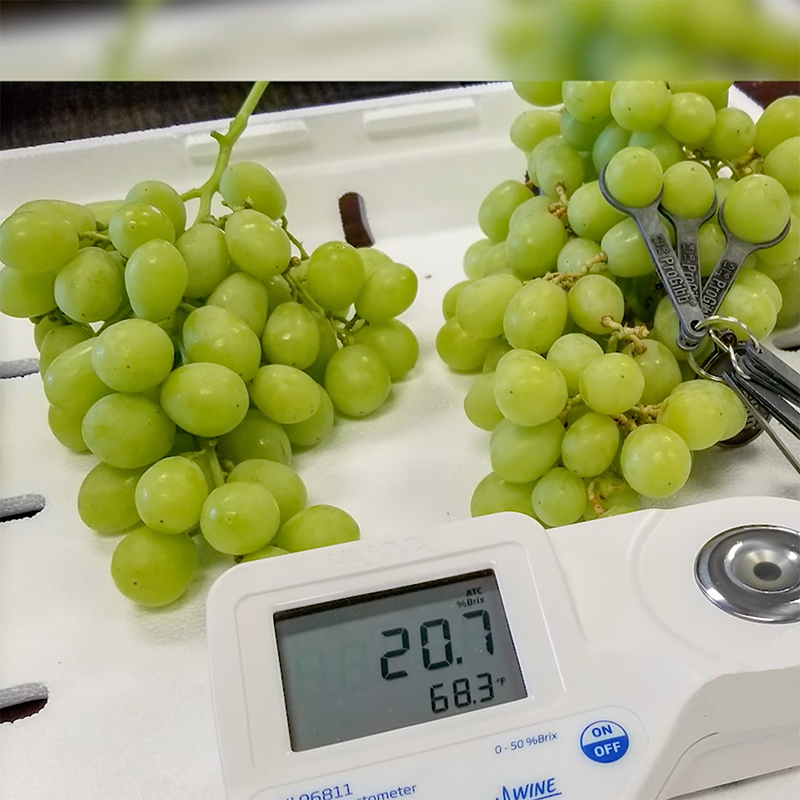 Fold in the grapes. Spoon the batter into the prepared muffins cups and top with a teaspoon of grape jelly. Bake in the preheated oven until the muffins are golden brown, 14-16 minutes. Cool before serving. 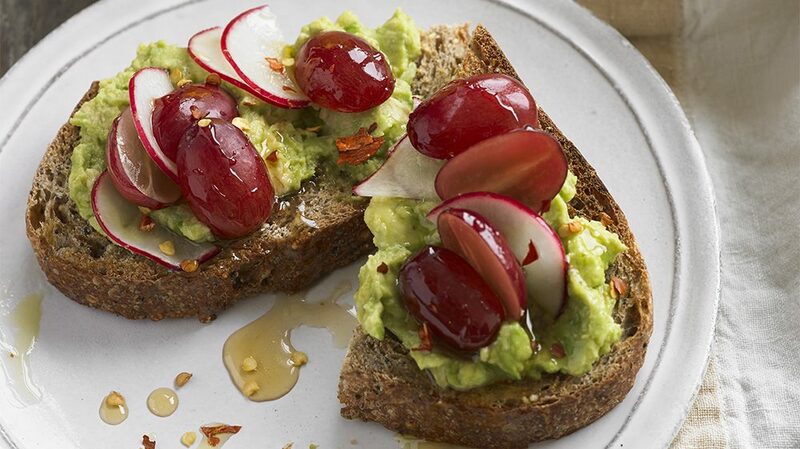 Calories 286; Protein 6.5 g; Carbohydrate 35 g; Fat 14.5 g; 44% Calories from Fat; Cholesterol 54 mg; Sodium 312 mg; Fiber 1.4 g.
What do you get when you combine California avocados with California grapes? 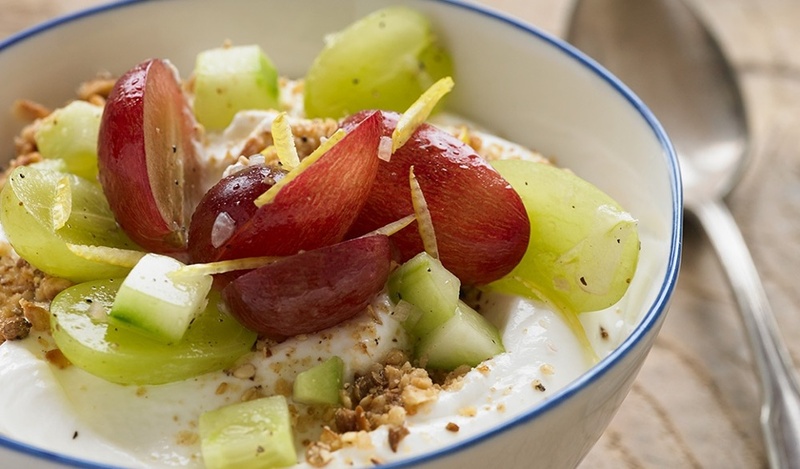 A high-protein, satisfying snack! Spread the mashed avocado onto the toast. Top with radish and grape halves. Drizzle with honey and olive oil. Season with red pepper flakes, salt and pepper. 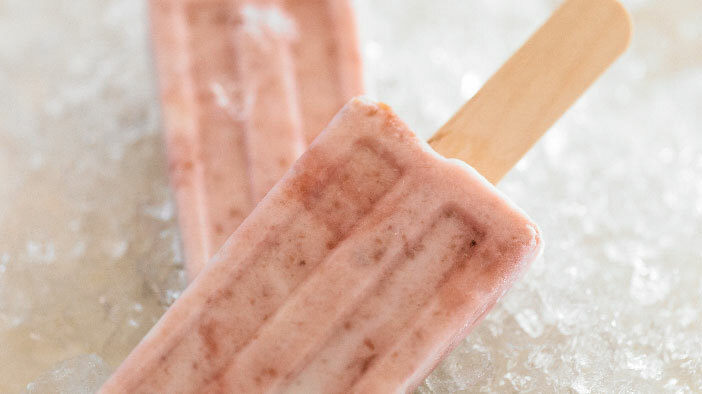 Nutritional information per serving: Calories 210; Protein 4 g; Carbohydrate 39 g; Fat 9 g (39% Calories from Fat); Saturated Fat 1 g (4% Calories from Saturated Fat); Cholesterol 0 mg; Sodium 160 mg; Fiber 5 g.
Cool off with these anti-oxidant & probiotic-rich pops using Jasmine Vineyards grapes! Purée the grapes in a food processor or blender (about 2 cups). Transfer to a medium-size pot and bring to a boil. Boil the grapes, stirring occasionally, until the mixture has thickened and reduced to about 1 1/2 cups, about 10 minutes. Transfer to a bowl, stir in the sugar and honey and let cool to room temperature. Fold in the yogurt just until nicely swirled, then spoon into popsicle molds. Cover with foil, insert popsicle sticks and freeze for 4 to 6 hours or until set. Nutritional analysis per serving: Calories 127; Protein 4.2 g; Carbohydrate 27 g; Fat 1 g; 7% Calories from Fat; Cholesterol 2 mg; Sodium 16 mg; Fiber .5 g.